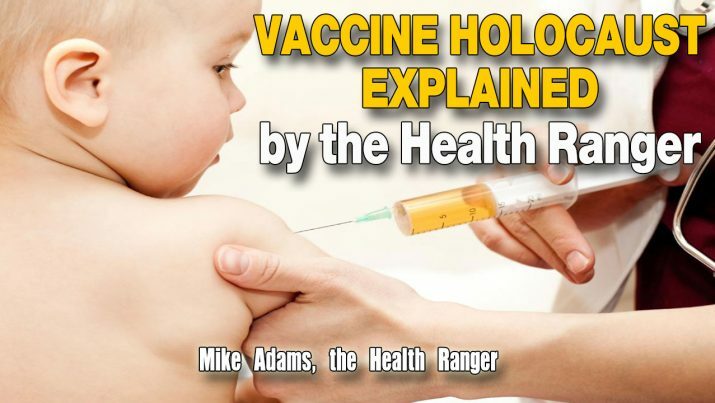 In this powerful video, I explain the “Vaccine Holocaust” and how modern doctors, scientists and citizens are allowing a literal holocaust of mass death and suffering to take place right under their noses… just as happened in Germany during the rise of the Third Reich. Today, “science” is also invoked to push mandatory, toxic vaccines that destroy the health of innocent children (and even kill some of them). This is also justified “for the greater good,” mirroring the sick, twisted rationalizations of the Nazi scientists working for the Third Reich. Even the Associated Press took part in promoting the Third Reich and was actively collaborating with Hitler. Much of the pharmaceutical industry that exists today is an offshoot from IG Farben, the Nazi chemical conglomerate that used Jewish prisoners for medical experiments. Today, vaccine companies use Nigerian children for their experiments, while also testing covert sterilization chemicals via vaccines in African nations, Mexico, Guatemala and elsewhere.